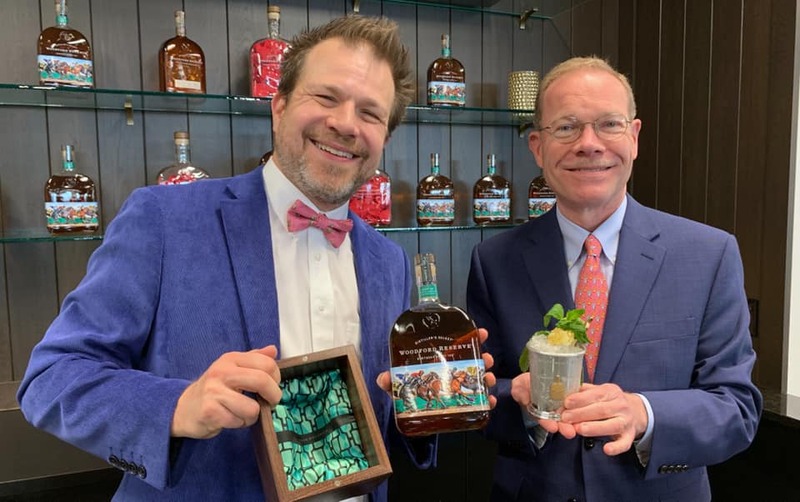 BourbonBlog.com ‘s Tom Fischer has just attended the press conference this morning where Woodford Reserve revealed its celebrated annual Kentucky Derby tradition — the $1,000 Mint Julep Cup. Purchase of cup does not include admission to Churchill Downs. Purchased cups must be claimed by the buyer or his or her submitted and approved proxy at Churchill Downs on Derby Day between the hours of 9:00 a.m. and 4:00 p.m. For complete terms and conditions, please visit www.WoodfordReserveMintJulep.com. Sales of the cup begin at 10 a.m. on April 10 to consumers ages 21 years and up at www.woodfordreservemintjulep.com. The sale closes at noon on April 30, 2019. 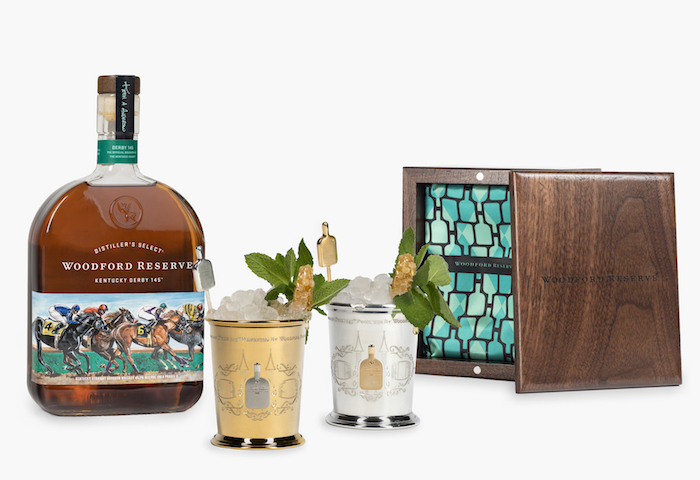 To truly mark The Best of Kentucky on Kentucky’s Best Day, this year’s $1,000 Mint Julep recipe includes a unique offering — a Kentucky honey sweetener that has rested inside an oak barrel for 145 days inside the famed Twin Spires at Churchill Downs to commemorate the 145th Kentucky Derby. 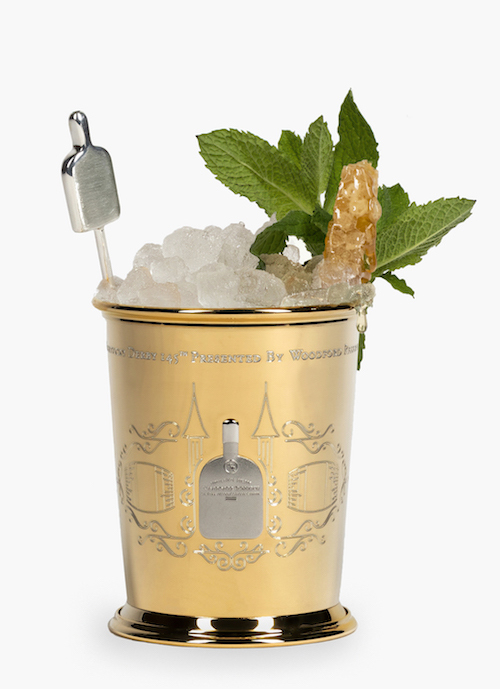 ● Rub mint around the julep cup, expressing the essential oils and place the mint leaf in the bottom of the cup. Drizzle two bar spoons of honey sweetener in the cup, followed by two ounces of Woodford Reserve Straight Bourbon, mixing the ingredients together. Pack ice into the cup, followed by placing the sipping straw. Layer loose ice on top, with a splash of Woodford Reserve Straight Bourbon to settle your drink. Garnish with shaved honeycomb and a sprig of mint.Any unsold cups will be available for purchase at Churchill Downs on Kentucky Derby Day (May 4th).